Receiving a mystery parcel from PlayStation is always exciting but I have to admit that I was completely blown away by our Something for the weekend parcel that we received last week. Our Playstation something for the weekend box was jam-packed full of goodies for us to have an amazing weekend playing video games together. It also included game download codes for a variety of games that were split into different categories. Check out the suggestions below. These games are cooperative games, working together in teams to complete the missions. This was my girl’s favourite category. LEGO games are at the top of my girls must-play list and this one was actually on the Christmas lists so they were very excited to receive this. In fact, this was the first game they played and it was hard to pry them away. The LEGO games are great for teaching teamwork and if DC SuperVillains isn’t the right one for your kids then check out the other LEGO games that are available. We have nearly all of them of the PS4 and my girls never get bored even after they have completed the game. 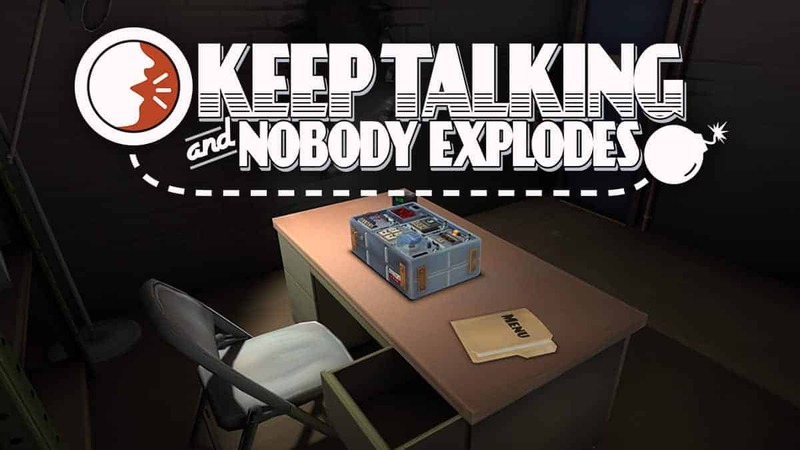 We have yet to play Keep talking and nobody explodes but it definitely has me intrigued. One player wears the Playstation VR headset and can see the bomb. The other players can see the bomb defusing instructions and they need to talk the player through defusing the bomb before it explodes. This looks like a high tension game where you really need to work together. I am looking forward to playing this with some of our grown-up friends over the Christmas period. My girls love Overcooked so getting Overcooked 2 and the Surf and Turf upgrade made them very happy. 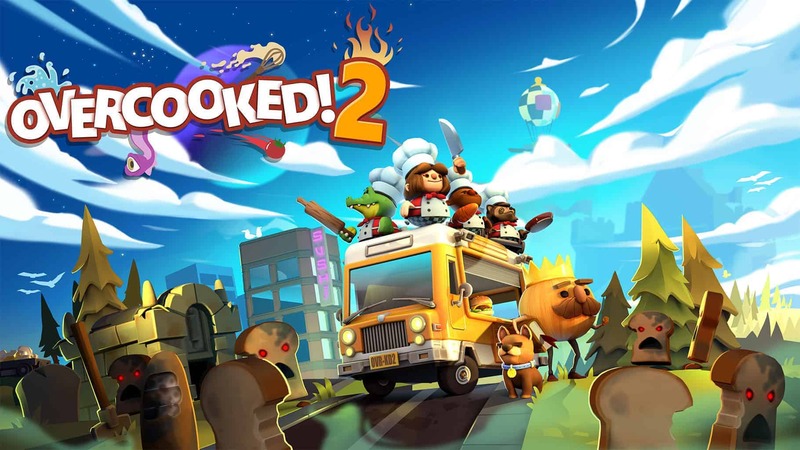 Overcooked is a fast-paced co-operative game where you have to work together and race against time to cook the food for the customers. You need good teamwork and attention to detail as well as quick problem-solving skills. The “All back to mine” games are great games to play in a large group. These are the ideal party games that can either be played multiplayer on the console or via Playstation play link (downloadable app for your phones). Chimparty is a play link game that allows up to 4 players to battle it out over 18 mini games with a total of 90 levels. This is a game for all the family and using your own smart device and the play link app you get to control your character as you run, jump, float and paint your way through the games. Like Chimparty, Frantics is a play link game and one that we absolutely love. We have had Frantics since it was first released and we still love it. Check out my full Frantics review. 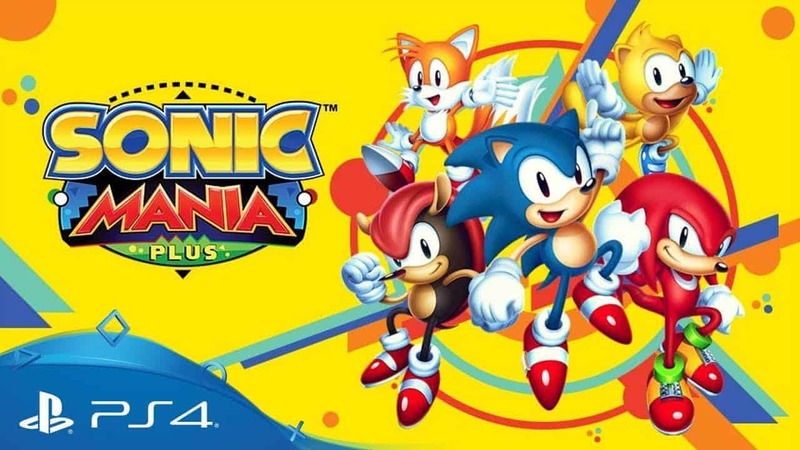 Sonic Mania Plus is a multiplayer level game that will have you reminiscing for the original Sonic games. With reimagined levels that remind you of when you first played but not quite. You can play in competition mode or time attack mode against your friends and as all of your favourite Sonic characters. Definitely one of my favourites! These games are all about getting competitive. If you think you can win then give it your best shot. 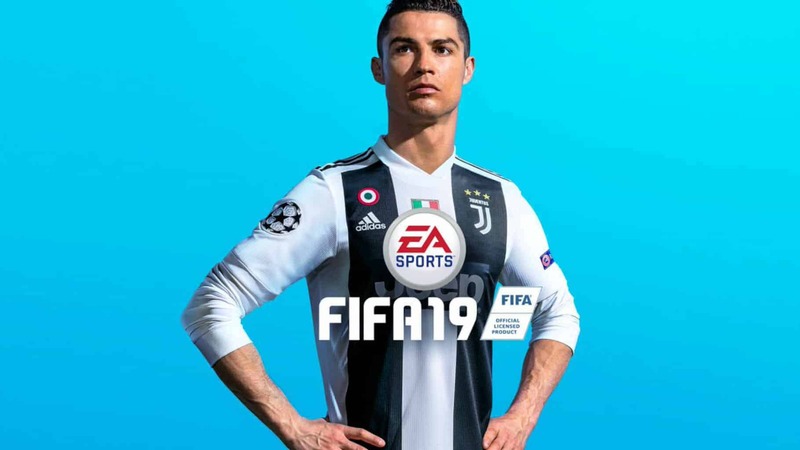 Not one for me or the kids but hubby was very happy to find Fifa19 was included in our bundle of games. This is one of those games that he always wants but never buys for himself and it now means he can challenge his brother to a game whenever he comes round to visit. 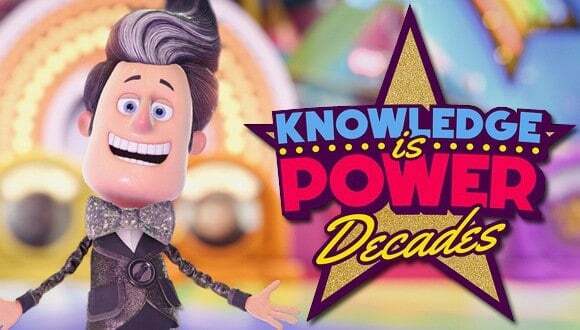 We have the original Knowledge is power game and absolutely love it so this update is perfect for us as a family. Another great PlayStation play link game this is one that I can imagine playing with extended members of the family as well as we all battle it out to prove who has the most knowledge. WWE 2K19 is another game where you compete head to head, this time in the ring to prove who will be champion. We are not big wrestling fans but we know someone who is so this is one game that we will be giving away. If you know someone who loves WWE then this could be the perfect gift for them. The pass and play PlayStation games are one player games. These can be games were players die quickly such as Crash Bandicoot or ones where you want to sit and watch others play as the story unfolds. Check them out below. I enjoy watching Hubby play his one player games and the interactive storytelling games are the most interesting to watch. 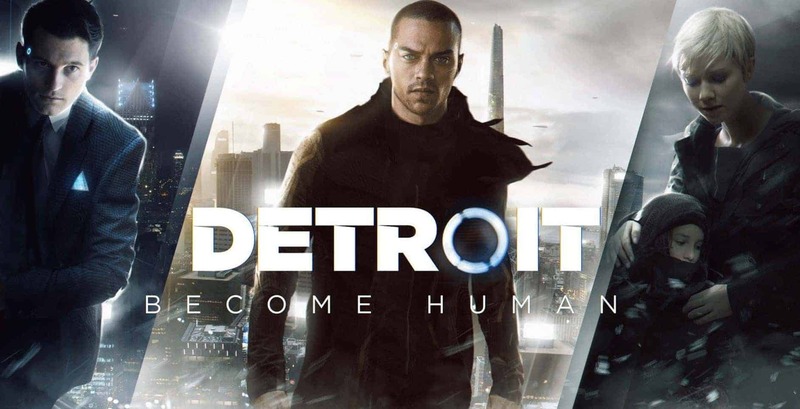 Detroit: become human follows the adventures of three androids and your decisions can shape the future. 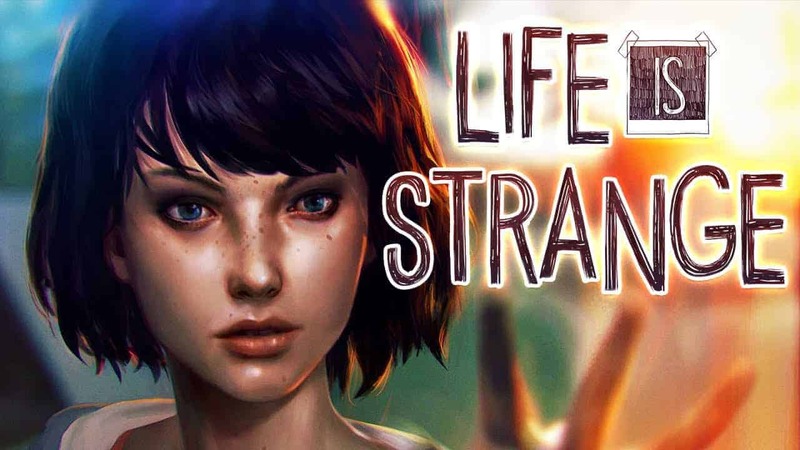 Life is Strange is another interactive storytelling game this time it is played out over 5 episodes and your choices can allow you to rewind time so you can affect the past, present and the future. The aim of the story is to uncover the truth behind your premonitions whilst learning that changing the past can have devasting effects on the future. I am a big Crash Bandicoot fan and this game takes me back to my childhood. Crash Bandicoot N-Sane Trilogy sees the first three Crash Bandicoot games reimagined in HD making them look amazing but still with the same degree of frustration that sees me falling off ledges or failing to make jumps. PlayStation really did send us something to keep us busy all weekend, and every foreseeable weekend as well. With something for everyone a PS4 is the ideal family Christmas gift and with so many great games to download and play you will never be bored. Next Post:Merlin Annual Pass 15 months for the price of 12 sale now on! Wow what a package. Can never go wrong with Fifa and our boys have that for Xmas for both ps4 and Xbox 1. They also have wwe for the Xbox. I never got on with the Lego games but watch the boys and just look shocked at what they are doing. Lol. Oooh, that looks great. We recently bought a PS4, but have yet to discover it’s capabilities and haven’t had much time to look at games yet! I’m looking forward to the Christmas holidays when we’ll have more time!